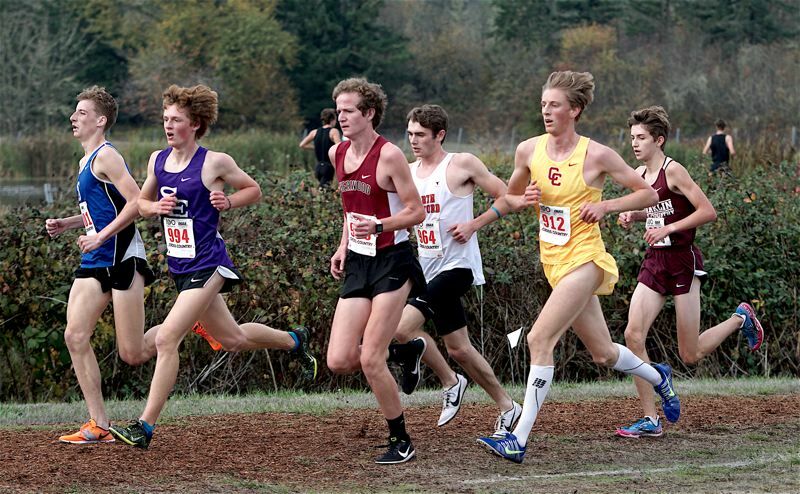 The Sherwood High School boys cross country team seemed to run strong all season long. So, it shouldn't come as any surprise that the Bowmen would turn in a strong performance at the Class 6A state championships. 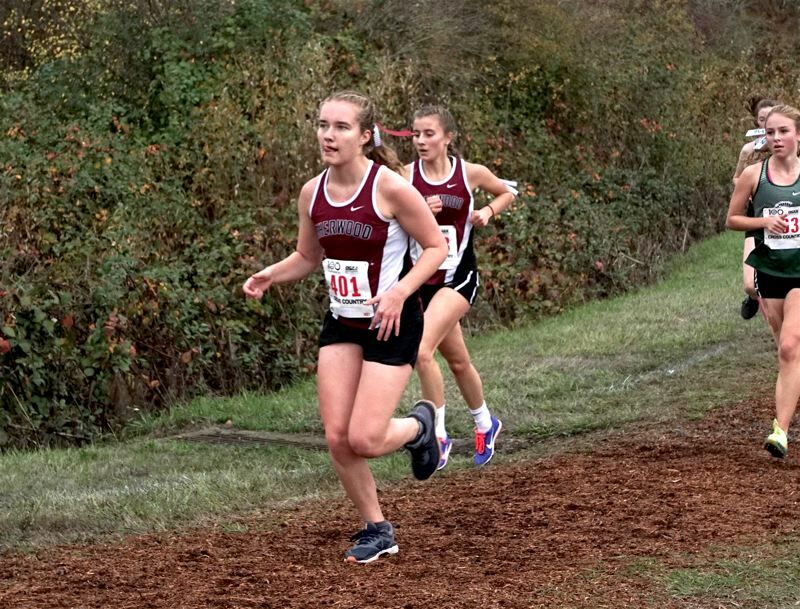 Sherwood, which previously won the Pacific Conference district title, a year after capturing the Three Rivers League district crown, ran to sixth place in the team standing at the Class 6A state meet, held Saturday at Lane Community College in Eugene. The Bowmen took sixth place at the state meet with a team score of 186 points. That put the Bowmen 12 points behind fifth-place South Eugene, with had a score of 174. 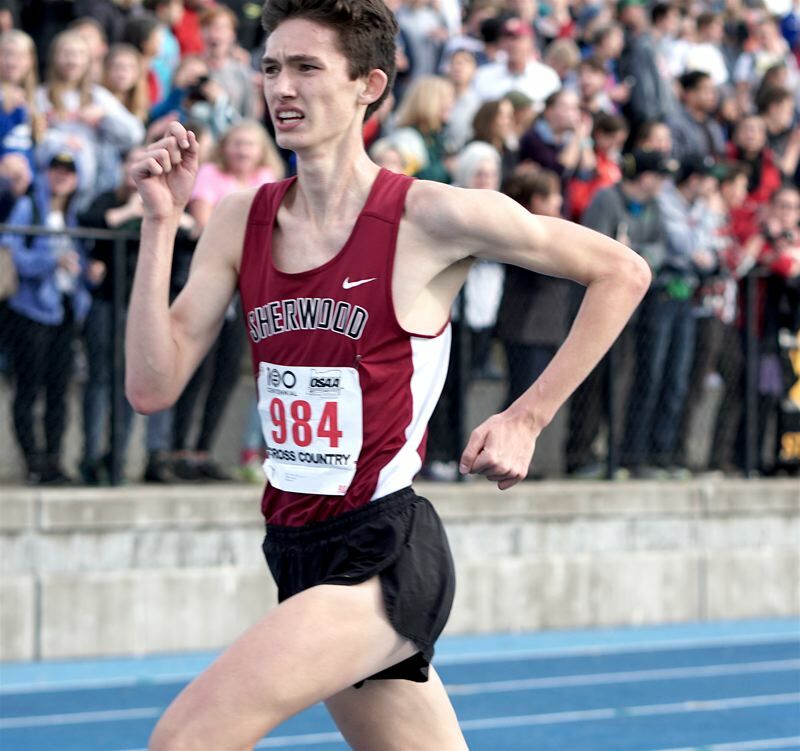 Senior Henry Giles, as he has throughout the season, led the way for the Sherwood boys at the state meet. Giles finished in 15th place, individually, with a time of 15 minutes, 59 seconds for the 5,000-meter race. Bowmen junior Jaron Homer also had a strong race, running to 32nd place with a mark of 16:15. Sherwood freshman Ethan Studivant stepped up to take 46th place with a time of 16:31. Also for the Bowmen, junior Thomas Osborn was 52nd at 16:34, sophomore Ismael Alvares was 60th at 16:47, freshman James Crabtree was 101st at 17:21 and freshman Jeffery Rogers was 126th at 17:45. Sunset senior Ethan Reese won the Class 6A boys race in a time of 15:37. Central Catholic won the Class 6A boys team title with 93 points. Jesuit also had a score of 93, but the Rams won the title by virtue of having the higher-placing No. 6 runner. The Sherwood girls team also earned a spot at the Class 6A state meet. The Lady Bowmen finished in 18th place in the team standings with a score of 431 points. Junior Madi Ramos paced the Sherwood girls at the state meet. She finished in 70th place with a mark of 20:15. Lady Bowmen sophomore Kari Eddington placed 99th at 20:49. She was followed by a pack of her Sherwood teammates. Senior Danielle Clem was 104th at 21:00, senior Jacqueline Angelel was 105th at 21:00 and sophomore Brooke Smith was 106th, also at 21:00. Also for the Lady Bowmen, senior Emily Pannell was 123rd at 21:39 and senior Emily Boynton was 126th at 21:30. Summit junior Fiona Max was the winner of the girls race with a mark of 17:29. Summit claimed the Class 6A girls team championship with a score of 39.